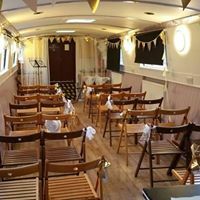 Seeking a small, intimate and unique wedding venue? Look no further. 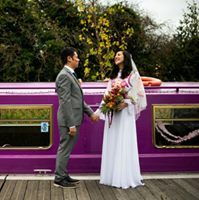 Prices start from £500* to include a 2 hour cruise and set up time (on the day of your wedding). Corkage is £35. We can recommend catering or bring your own. Click here to view some images of previous weddings. Please email info@re-union.org.uk to arrange a visit to Lochrin Belle and/or to discuss your individual requirements. *Please note we cannot provide or store flowers, decorations or cake. We ask that you nominate someone to remove all your decorations at the end of the cruise.